Mackie introduces high-definition live sound with powered HD Series of loudspeakers AUT iNFOcOMM 2009 IN Orlando, Florida. 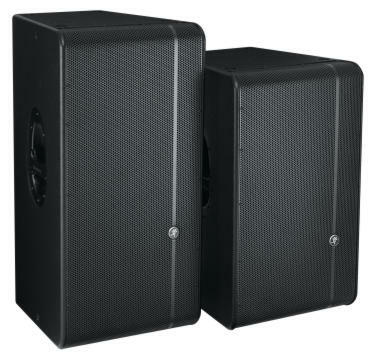 At InfoComm 2009, in Orlando, Florida, Mackie introduces its HD Series High-Definition powered loudspeakers for high-definition live sound. The HD1521 2-way and HD1531 3-way incorporate the latest Class-D amplifier technology, delivering up to 1800W of peak system power. Mackie has a tradition of including precision crossovers, transducer time alignment and phase correction circuitry right in the box for a perfectly tuned system. HD Series loudspeakers take this further with the implementation of patented acoustic correction processing that counters inherent physical attributes. With custom transducer design and system tuning by the high-end touring experts at EAW, HD Series loudspeakers are clearly ahead of the pack. 15″ neodymium woofers are matched with the 1.75″ heat-treated titanium compression driver. The HD1531 3-way also features a 6″ midrange driver and Mackie’s optimized WaveFront mid/high horn system for ultra-wide, consistent coverage. A user-adjustable 3-band EQ with a sweepable mid lets the user gently and flexibly EQ the system for the application at hand. This is a great feature for smaller setups that may not have a ton of outboard gear. The rugged all-wood cabinets feature 12 integral fly-points for horizontal or vertical rigging and both models are pole-mountable. Integrated protection circuitry and robust build quality ensures years of reliable use. Hear the HD sound at the InfoComm Show in Booth 6501 Hall A. HD Series demos in rooms 202A and 202C will be offered during all three days of the show at 9am, 11am, 1pm, 3pm.